Tennis star Rafael Nadal completed his comeback journey from a 7 month sabbatical due to persistent left knee pain, by winning his 8th French Open title. That is more slams than any other man in the open era. He also moved past legends Rod Laver and Bjorn Borg for 12 total slams. Nadal has been riddled with knee pain for years, and since after last years Wimbeldon. He has had knee pain in the past requiring Platelet Rich Plasma (PRP) and extensive therapy. Nadal gives great credit to his trainer. 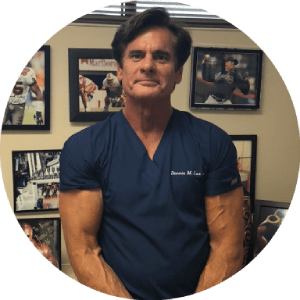 He has traveled seeking the advice of his orthopedic surgeon many times over the years, and is among several elite athletes who have had Platelet Rich Plasma (PRP for their knees. Nadal cancelled his first scheduled tournament after the French to seek advise from his doctors, before Wimbeldon begins. Platelet Rich Plasma (PRP) is a process in which the patents own blood is spun in a centrifuge concentrating the platelets to get the Platelet Rich Plasma (PRP), which has a rich source of growth factors for healing. PRP is a Regenerative Medicine therapy used by Dr. Lox to treat a variety of disorders.